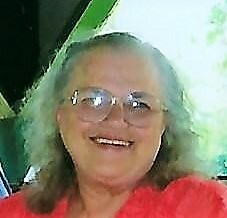 Delores Ann (Robbins) Stevens, 77, of Cambridge passed away Wednesday (February 6, 2019) at Astoria Place surrounded by her family. She was born September 7, 1941 in East Sparta and was the daughter of the late Clyde and Edith (Moore) Robbins. Delores retired in 1998 from Champion Spark Plug after thirty three years of service. She was a member of Freedom Worship Church, Women’s Aglow Fellowship and VFW #2901 Women’s Aux. Dolores loved to travel, especially family vacations, spending time with her family, attending the Ohio State fair. In addition to her parents she was preceded in death by her daughter Kathryn Louise Truman; step-father, Thomas Janes; one brother, Clyde Robbins. She is survived by her husband of fifty three years, Richard B. Stevens whom she married January 7, 1966; one son, Russell (Terri) Stevens of Orange Park, FL; one daughter, Marcy (Don) McIntyre of Cumberland, Ohio; one brother Dave Robbins of Florida; one sister Cathy White of Florida; seven grandchildren; eleven great grandchildren; step-children, the late Thomas E. (Mary Kyzar) Stevens, and Helen (George) Brown of Florida, along with their children and grandchildren. A Celebration of Life will be Monday from 4-6 p.m. at Black-Epperson Funeral Home, Byesville with services to follow at 6:00 p.m.